Smoking may have a higher price than just the cost of cigarettes. A new study finds smokers also fare worse on the job market. According to a study published today in JAMA Internal Medicine, smokers not only remain unemployed longer than nonsmokers, but they also earn substantially less when they are hired. 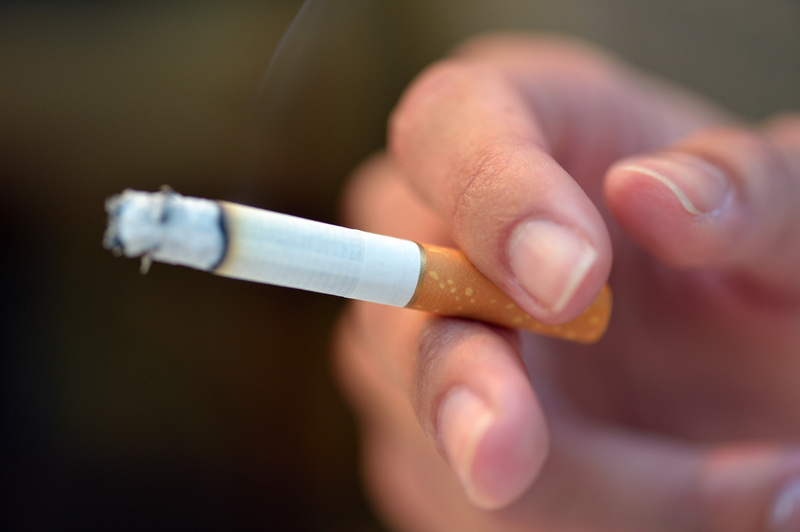 "There's been good knowledge of the harms of smoking in terms of health, but it's also important to appreciate the fiscal harms of tobacco use," lead study author Judith Prochaska, PhD, MPH, an associate professor of medicine at the Stanford University School of Medicine, told CBS News. Prior research has shown an association between smoking and unemployment in the U.S. and Europe, but it was unclear whether the habit was the cause or the result of unemployment. For example, it could be that smokers have a harder time finding work or that they are more likely to lose their jobs, Prochaska explained. Or it could be that when nonsmokers lose their jobs, they become stressed and start to smoke, she said. To help determine whether or not smoking may actually prevent people from getting jobs, Prochaska and her team surveyed 131 unemployed smokers and 120 unemployed nonsmokers at the beginning of the study and then followed up six and 12 months later. The results showed that after a year, only 27 percent of smokers had found jobs, while 56 percent of nonsmokers had landed work. Furthermore, among those who had been hired by 12 months, smokers earned, on average, $5 an hour less than nonsmokers. The authors noted that a number of differences existed between people in the smoking and non-smoking groups -- including age, education level, race, and health status -- that could have impacted their ability to find work. For this reason, they used statistical tools to control for these factors. "We designed this study's analyses so that the smokers and nonsmokers were as similar as possible in terms of the information we had on their employment records and prospects for employment at baseline," study co-author Michael Baiocchi, PhD, an assistant professor of medicine who oversaw the data analyses, said in a statement. After controlling for these variables, the re-employment rate of smokers was still 24 percent lower than that of nonsmokers. Though the study did not look at the potential reasons why smokers may be less likely to find work, Prochaska has some theories. "We didn't directly assess what's accounting for this relationship, but we did ask those in the smoking group to rate how they prioritize their discretionary spending -- so after their rent, basic food needs, and such have been accounted for, how do they prioritize their remaining funds," she said. "We found that tobacco was the most highly prioritized item, ahead of things like transportation costs or grooming needs or new clothing." She also said that smokers going on interviews may be distracted by withdrawal symptoms if they feel they need a cigarette. Additionally, before the start of the study, the researchers asked hiring managers about their opinions on the matter. They learned that "if a job seeker smells of smoke it really puts them at a disadvantage," Prochaska said. The authors are currently recruiting subjects for a follow-up study to test whether or not an intervention aimed at helping job seekers quit smoking will help them have an easier time getting hired.